The St. Louis Blues have put together another stellar regular season this year, and once again find themselves among the NHL’s leaders in points. However, this impressive run hasn’t always led to success in the playoffs for the club but this year seems different, so hopefully they break the string of bad showings come mid-April. Here we’ll look at how the team can ensure they are ready to go when the real season starts in just a few weeks’ time. Though the Blues are a lock for a playoff spot, they won’t want a repeat of last year’s regular season close that saw them go 3-7 in their final 10 while averaging a measly 1.5 goals per game over that span, which set the team up for an uphill battle that they ultimately lost to the rival Chicago Blackhawks in 6 games last year. They will want to battle hard to keep games close and at least gain a point in them (although overtime matches will not be their friend through the final 8 regular season games) to ensure they have decent momentum carrying the team into the playoffs. 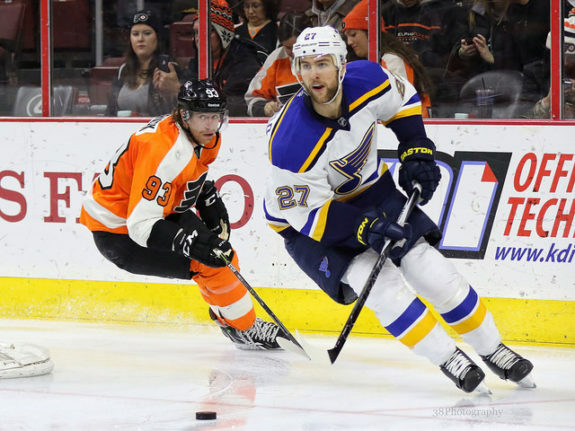 The Note will also want to focus on keeping their stars engaged, but healthy, as last season saw them sustain injuries to key players such as Vladimir Tarsenko, TJ Oshie, and David Backes among a slew of others who were thoroughly banged up by the start of the 1st round. If the team can manage to play a competitive game where they focus on perfecting fundamentals and staying out of the box, they should be sitting pretty regardless of their final seed heading into that first round this season. It will be a tough grind over the last 8 games though, as the Blues are slated to play the Blackhawks twice (once at home and once at the United Center in Chicago), the Canucks and Flames (who are battling the LA Kings for a playoff spot) once each, and then Central Division rivals Winnipeg and Minnesota once each as well. All of these teams are already in playoff mode as they battle for the final few spots, so it will be of paramount importance to stay out of the box to give players as much in game rest as possible to avoid those previously mentioned injuries. At the same time, the Blues still need points to continue to gain momentum (after a mini-slump saw them go 2-1-2 in their last 5), and to fight for the Central Division title that would keep them a top seed throughout the tough Western Conference playoffs (and would give them home ice advantage). That being said, their playoff seed doesn’t matter nearly as much as it has in years past due to their depth, and impressive road record overall this season (22-12-5) mixed with the pretty even talent level of all teams in the West this season. 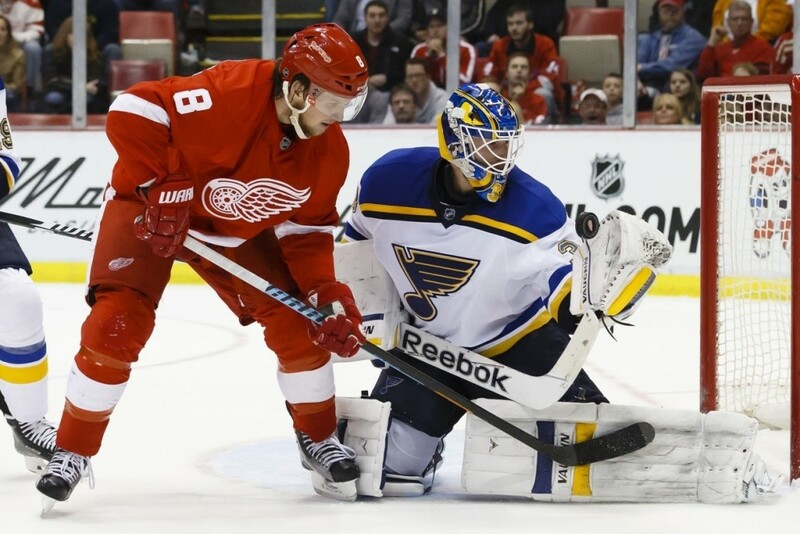 As mentioned briefly earlier, the Blues have run into some unfortunate penalty woes as of late which has seen them shorthanded 16 times over that last 5 game stretch, including a 6-kill night against Detroit last week. Luckily for the squad the penalty kill has been excellent in 2015, successfully thwarting 87.7% of all opposing power plays in the calendar year, but that is a stat you’d rather not have to deal with in the postseason when capitalizing on special teams becomes so crucial. If the Blues can manage to play their quick-up, yet physical game in the playoffs without drawing too much attention from the refs they will have a much better chance of going extremely deep into the playoffs this season, and possibly more than ever before. 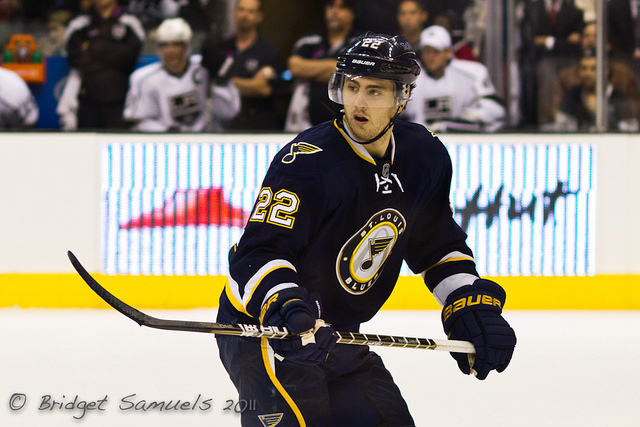 As far a playing while up a man goes, the team will receive a much needed boost to their power play beginning again on Saturday, as Kevin Shattenkirk will return to the lineup after missing 25 games with abdominal and groin injuries. The crafty two-way defensman still boasts the most power play points on the team this season with 24 PP tallies (4G, 20A), which is also the 2nd most in the NHL this year, despite being out of the lineup since February 1st. He will surely help the Blues while playing with a man advantage, and should bring a sense of calm to the back end again, which has been greatly anticipated. 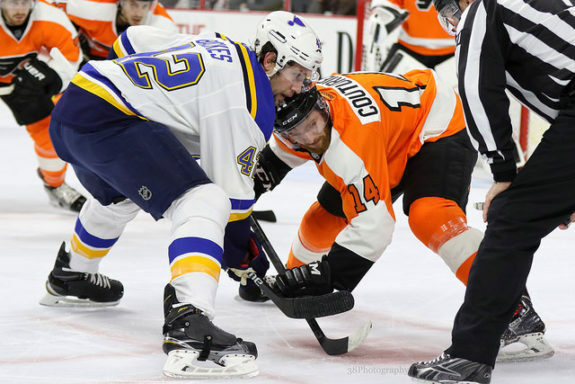 With new comers Robert Bortuzzo and Zbynek Michalek providing a ‘heavier’ D-core, Shattenkirk, Pietrangelo, and Gunnarsson should be able to focus on keeping the play fast-paced and efficient without sacrificing D-zone coverage, which should make the Blues a deadly foe to all opposition. 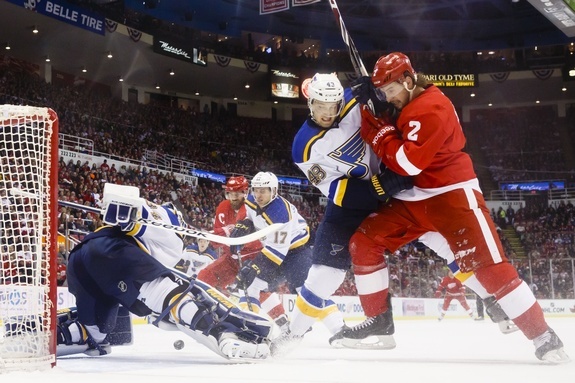 Though the Blues have one of the deepest teams in their illustrious history, and one of the deepest teams across the league this season, it doesn’t matter too much if you have extensive injuries. The club will need to make sure they are taking care of their bodies each and every day, every practice, every game, and every shift, to ensure they have a chance to get those 16 wins needed to hoist Lord Stanley’s Cup this season. That may mean some stars get shut down for a game or two over this final stretch despite the positioning battle for first atop the Central, and it may also mean some up-and-comers need to step up like they are already superstars. This is a tall order for any team in any situation, but if it means more energy for the long and grueling playoff battle then it should be executed. Hopefully the team can stay healthy and continue to click well into May, to prove to the league how good they truly are, and to finally shake the skeptics once and for all. When you look at a roster that has 9 players at or above the 40 point plateau (Lehtera is included in that group although he currently sits at 39 points, but this assumes he’ll eclipse the 40 point plateau before the season’s end) you expect a deep run in the playoffs, and with the Blues perfect mix of veteran leadership, young stars, and up-and-comers you see why so many St. Louis faithfuls are so excited for the big dance to begin.